“The whole world gave up on us, but Turkey will not,” said Capt. Naji al-Mustafa, spokesman for the Turkish-backed umbrella group known as the National Front for Liberation. Idlib, with its 3 million residents and more than 60,000 fighters, is Turkey’s burden to bear. On Monday, Turkish President Recep Tayyip Erdogan met for the second time in 10 days with Russia’s Vladimir Putin, this time in Sochi, Russia. 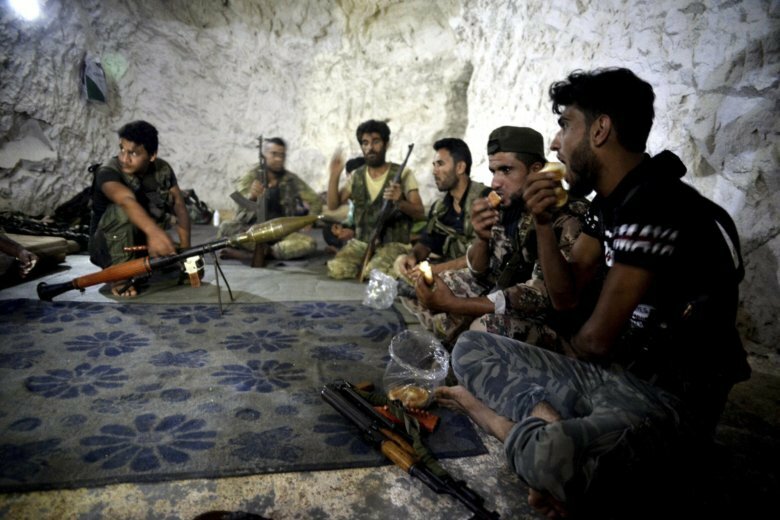 For the past two years, Idlib saw an influx of an estimated 20,000 rebel fighters from around the country after their losses to government troops and surrender deals negotiated with Russia and Damascus following devastating sieges. Civilians who refused to go back under government rule were also bussed there, nearly doubling the province’s population. “Assad and Russia gave the choice to the international community: first we kill everybody. Second thing, (they said) if you want to protect (Idlib), then take those people you think are nice. … It is cynical but puts the international community before its contradictions,” Balanche said.